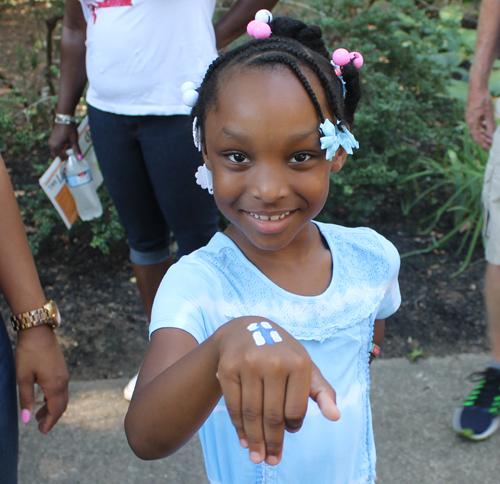 A special day for children was held in the Cleveland Cultural Gardens on August 7, 2016. 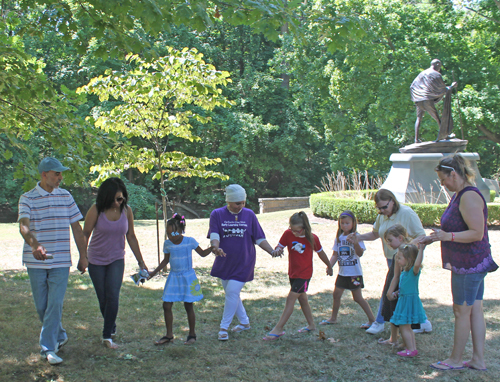 The day was extra special because it was part of the Centennial celebration of the Cleveland Cultural Gardens. The first Garden was established in 1916 so 2016 is the Centennial anniversary. 4 Gardens were featured: Estonian, Finnish, Indian and Lebanese. In each Garden there were activities and fun for kids (and their parents). For example, in the Finnish Garden the kids leaned some basic Finnish greetings and other words. They also were able to make their own Finnish flag and have the Finnish flag painted on their hands! In the Estonian Garden, they learned that the Cornflower is the national flower of Estonia. And they had story time with Erika Puussar and learned some Estonian words. Then they played a game that every kid in Estonia plays. 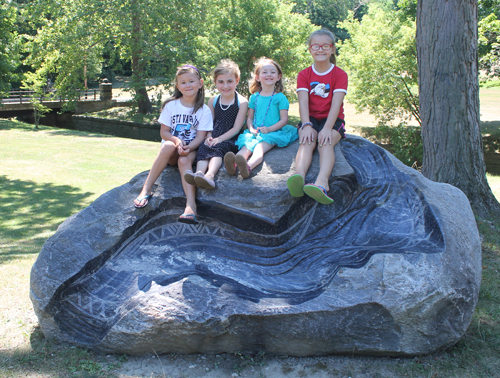 In the Lebanese Cultural Garden, they learned about Lebanon as they colored flags of Lebanon. Then they were taught the basic count to 6 steps of Lebanese dance. 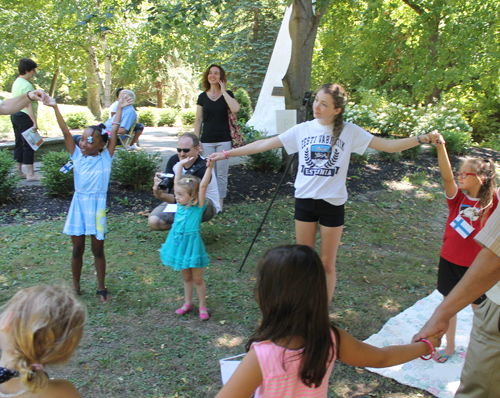 In the India Garden, they learned some yoga and some Bollywood moves. 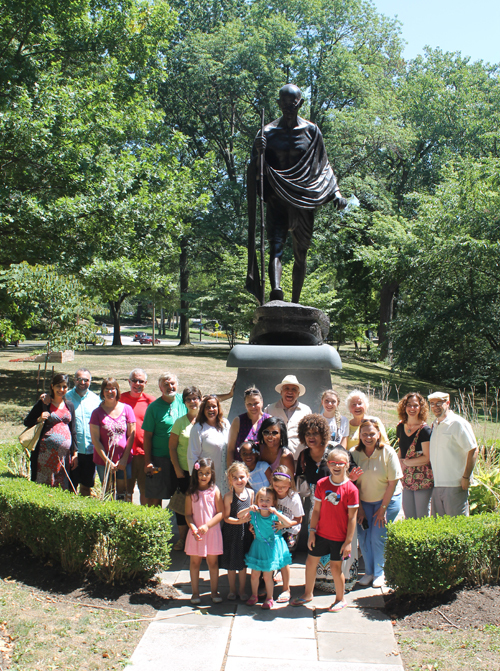 They also learned how to say 'Namaste' and about the life and philosophy of Mahatma Gandhi. Congratulations to event chairs Teevi Champa and Ken Quiggle for producing the first annual Kid's Day in the Cleveland Cultural Gardens.